This post is sponsored by Pinnacle® Vodka. All thoughts and opinions are my own. This Whipped Pineapple Cocktail is my summer drink. It is super easy to make and a delicious treat. I started making this drink last summer and it has been a popular request from friends ever since. This makes it the perfect summer drink during a relaxing evening on the patio with friends. So how simple is it? 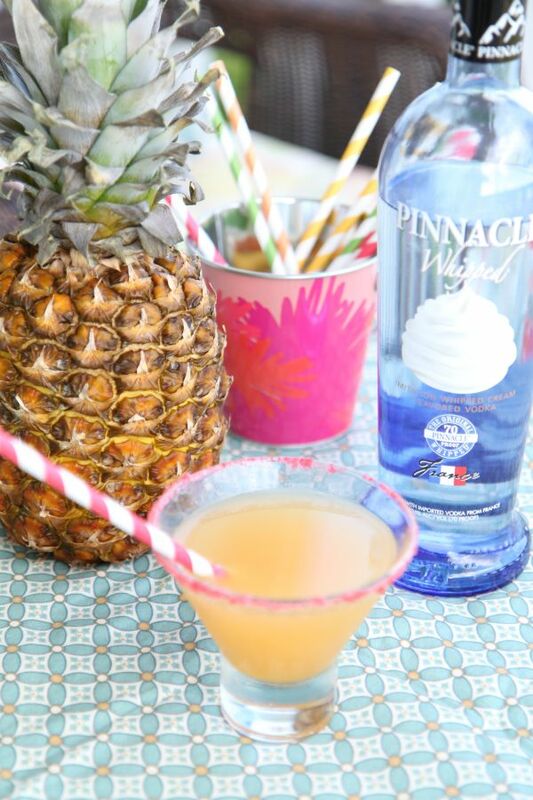 It requires just two ingredients – Pinnacle® Whipped Vodka and pineapple juice. Flavored vodkas from Pinnacle® make it easy to create new cocktails. There are over 40 fun flavors, which means the possibilities are endless. Pinnacle® is a quality vodka at an affordable price, which means you can pick up a couple of your favorite flavors. I was amazed at all the different varieties. I’m convinced that you can add Pinnacle® Whipped Vodka to any of your favorite beverages to make a delicious drink. 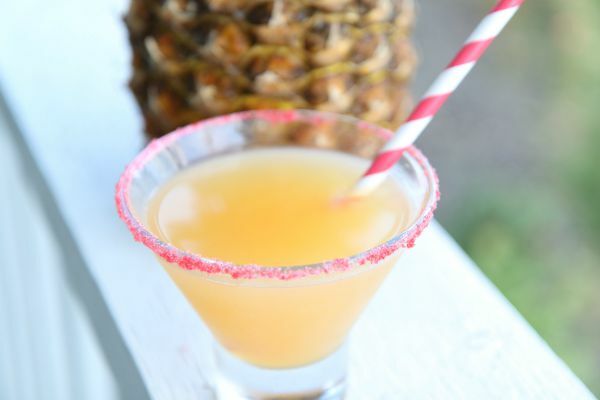 For this delicious Whipped Pineapple Cocktail, combine Pinnacle® Whipped Vodka, pineapple juice, and a splash of grenadine in a cocktail shaker with a few cubes of ice. Shake for a few seconds. Pour into your glass. Garnish with a maraschino cherry. Combine vodka, pineapple juice, and grenadine in a shaker bottle with a few ice cubes. Pinnacle® Vodka shakes things up with unexpected experiences and delightful discoveries. Explore with other fun flavors at http://www.pinnaclevodka.com. Pinnacle® is a registered trademark of Jim Beam Brands Co. and is used with permission. This is a sponsored partnership, with Pinnacle® Vodka, via Mode Media. The information, comments, and ideas expressed on this website are those of the author and do not necessarily reflect the opinions or positions of Jim Beam Brands Co., its affiliated companies, or any of their directors or employees. Looks yummy and so easy! I like Scott’s idea of a frozen version! This drink looks so good! Pinnacle Whipped Vodka is a staple in our liquor cabinet! There are so many ways to get fruits into our diets… I love whipped cream too. This is something I need to try…. I love pineapple drinks! The drink looks refreshing and perfect for the summer time. I love pineapples and enjoy it as is because I don’t drink alcohol… Looks yum! This looks so good I must try it, especially in this heat. It’s so nice to be able to enjoy an adult beverage once in a while. This cocktail looks so good. I can’t wait to tell hubby about this yummy cocktail! He loves pineapple! I do love pineapple juice but would probably just add a bit of grenadine. My drinking days are over. This cocktail sounds delicious! And so easy to make! 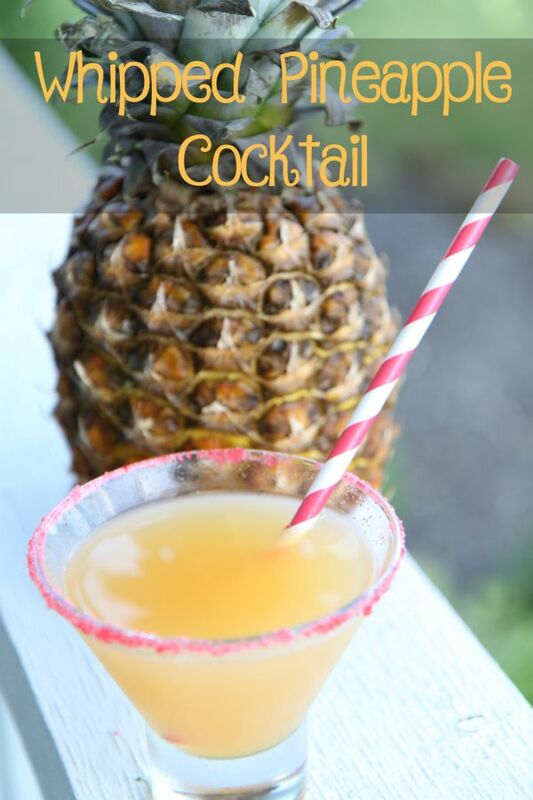 I love any drink with pineapple and I think I’ll have to make this over the weekend! I wonder how this would be with (blended) pineapple instead of just juice. Make it a frozen version!